Art often imitates Muni — and how! 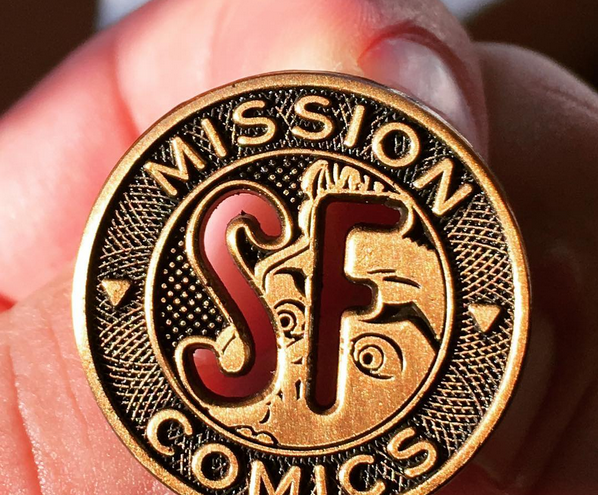 Pic above and token design by @teddyhose on Instagram, who says this pin was designed for Mission Comics & Art — $10 a pop. Look familiar? If so, it definitely dates you, in a good way. 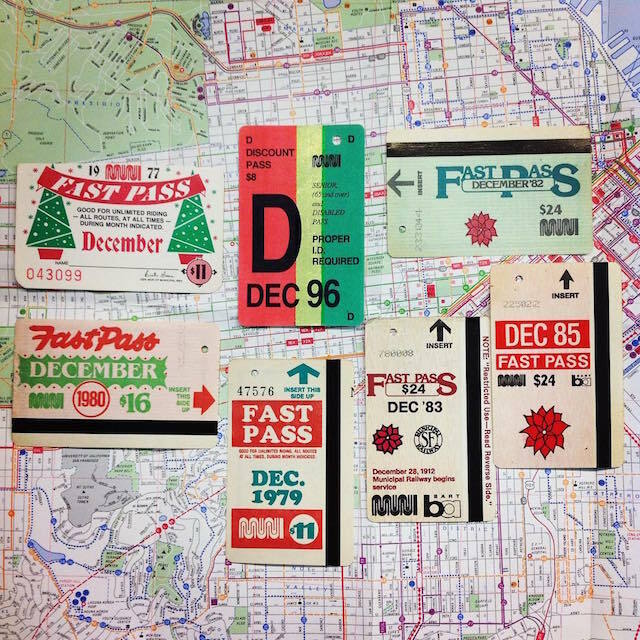 Like our beloved paper Fast Passes, San Francisco transit ephemera like SF Municipal Railway tokens warm even the most hardened local’s heart. You used them to get on the bus once upon a time, before the BEEP and EH-EH of Clipper machines rang in our heads. Share and share alike on Muni Diaries’ social channels (FB, Twitter, Insta) if you’re itching to drop some local transit history. 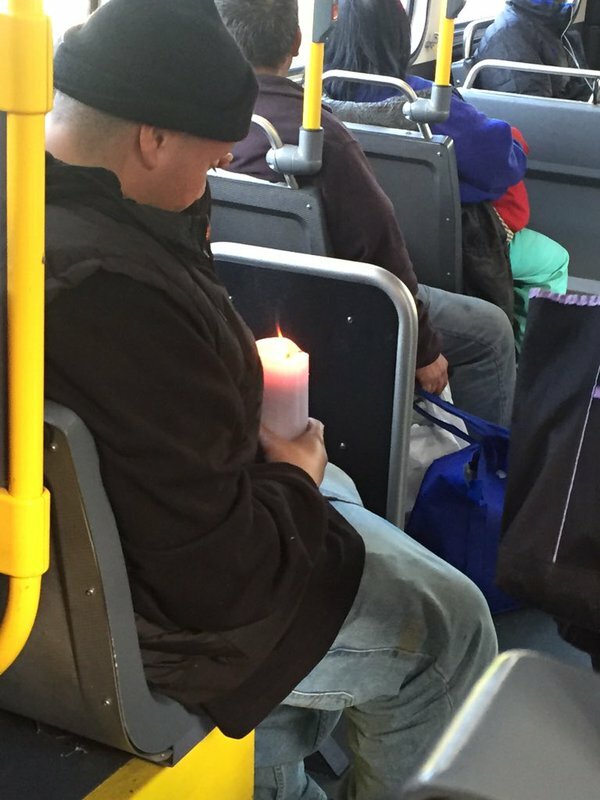 Light a candle on Muni … for the dear departed? BART rider Mia spotted this little creature waiting to set the night on fire at Fruitvale Station, looking better than any of its human counterparts. Muni rider Meli met a fashionable lady at the Muni stop the other day. 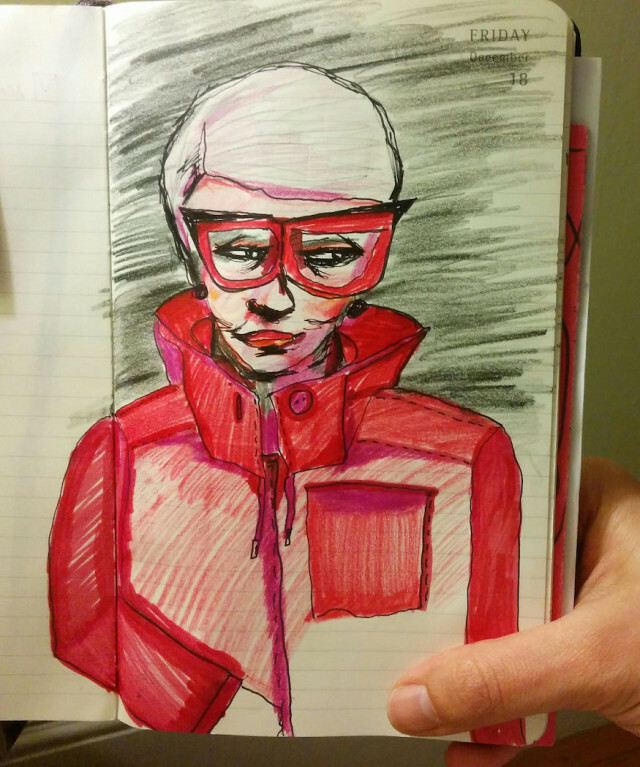 From Meli: “I met an adorable senior by the bus stop last week, she had same hue of pink on her eyeglasses jacket lipstick.” Meli was so inspired that she sketched a portrait of her, seen above. It’s nice to be reminded that beauty doesn’t only come from cookie-cutter, fashion model forms. I dream of dyeing my hair purple (or maybe pink) when I go gray and finally living my punk rock dreams. Clothes can tell a story – and in the case of Chinatown, it’s a story about a generation of men and women who immigrated from China to Chinatown, and their fashion philosophy (staying warm) and economic ideals (making their own clothes or preserving the ones they already have). Interviews, conducted with the help of Cantonese-speaking translators, will be displayed next to the photos. Thanks Meli for our very own version of Advanced Style. 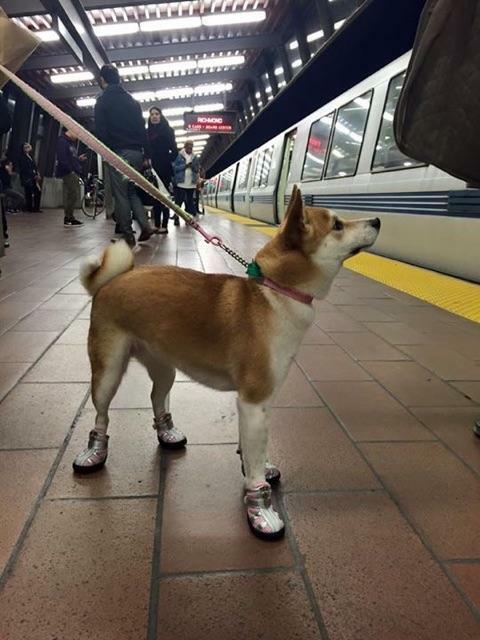 Remember to tag us @munidiaries or email us at muni.diaries.sf@gmail.com to submit your own slice of life on Muni, fashionable or otherwise! 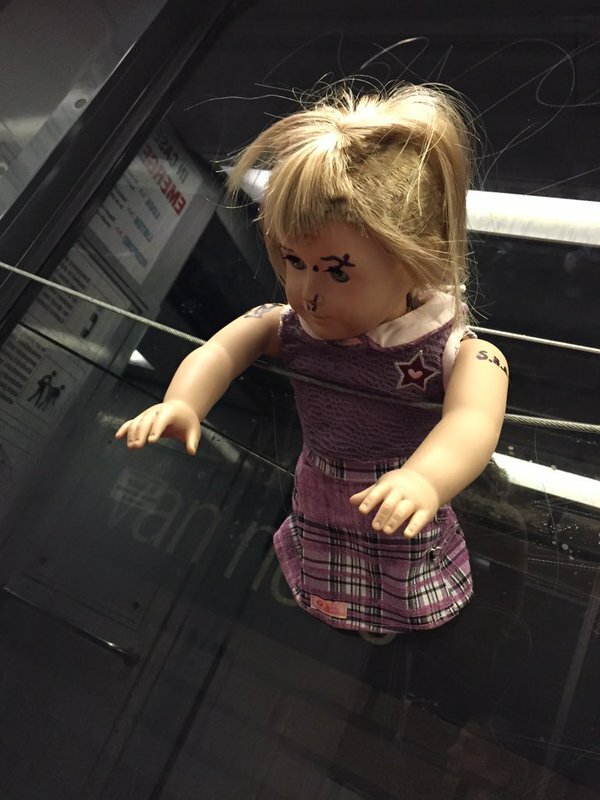 Punk rock doll DGAF, you guys.